Based on data from Indonesia's Financial Services Authority (in Indonesian: Otoritas Jasa Keuangan, or OJK), disbursement of credit through fintech in Indonesia this year reached IDR 7.8 trillion (approx. USD $534 million) up to the end of July 2018. These funds originate from 66 local fintech companies that have obtained permits from the OJK to engage in peer-to-peer lending (P2P lending). Riswinandi, Executive Head of Financial Sector Monitoring at the OJK, stated that so far this year credit disbursement through P2P lending in Indonesia has soared 204.7 percent compared to the IDR 2.56 trillion (approx. USD $175 million) that was disbursed in full-year 2017. Riswinandi added that there is plenty of room for further growth for Indonesia's fintech industry as is demonstrated by the fact that 62 other local fintech companies are currently lining up to obtain permits from the OJK in order to start their business. Hendrikus Passagi, Fintech Licensing and Supervising Director at the OJK, said his institution will continue to monitor the country's fintech industry in a strict manner. Therefore, the OJK recently revoked the operating permits of five fintech companies as their shareholder compositions had been changed without first seeking the OJK's approval. Meanwhile, at the start of the week the OJK officially launched the OJK Innovation Center for Digital Financial Technology (abbreviated: OJK Infinity) at the OJK's headquarters at the Wisma Mulia 2 building in Central Jakarta. OJK Infinity is designed to be the place where stakeholders, regulators, government, and academics can cooperate and discuss ways to improve the development of Indonesia's fintech industry, while at the same time strengthening consumer protection. A healthy development of fintech companies across Indonesia should result in an improvement in the nation's financial inclusion. Indonesia forms a huge consumer base with a population that numbers over 260 million people (moreover it is characterized by a rapidly growing middle class). 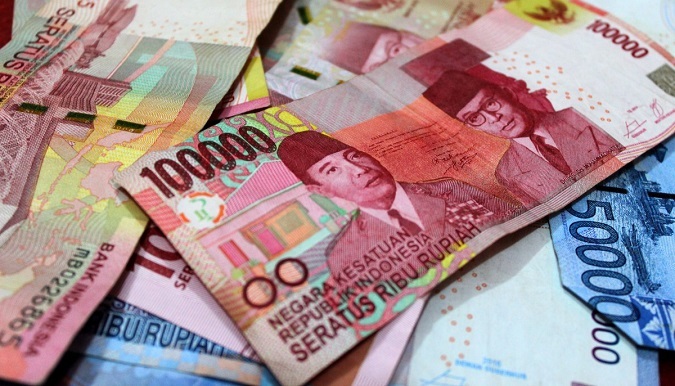 However, dozens of millions of Indonesian households lack access to financial services. Meanwhile, many more lack awareness in financial services. The low level of financial inclusion in Indonesia actually jeopardizes financial system stability in Southeast Asia's largest economy (while encouraging growth of a shadow economy). A negative effect is that low financial inclusion leads to exclusivity. Thus, only a small percentage of people will understand - and have access to - financial products and services. With such exclusivity, third party funds in the financial industry of Indonesia will not grow to the maximum. This will cause the intermediary function of the financial industry to stagnate and therefore becomes an inadequate cushion in the event of a recession. Meanwhile, it will further widen the level of economic inequality in Indonesia. Tight monitoring is indeed required as the OJK recently discovered there are more than 100 unlicensed P2P lending providers active in Indonesia. Out of a total of 227 unlicensed P2P lenders, at least half originates from China. This is most likely due to the Chinese government's tightening measures on curtailing illegal fintech companies at home. Moreover, Indonesia is a lucrative consumer base for such companies.